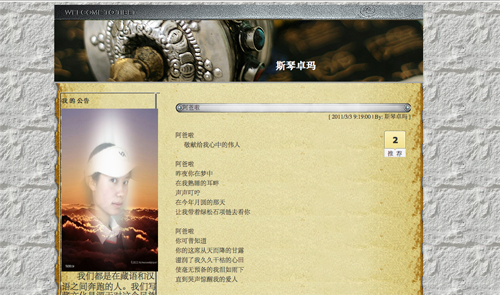 High Peaks Pure Earth has translated a Tibetan song and a poem by a Tibetan blogger, each about missing an absent parent. The first translation is of the song, “Longing”, a very popular old song by perhaps the most famous singer in Tibet today, Yadong. 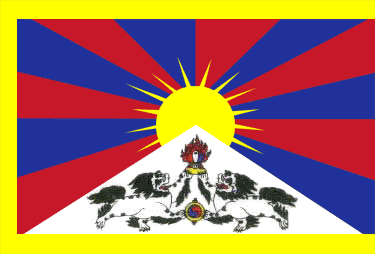 Regular High Peaks Pure Earth readers may also remember “Mentally Return” that had Yadong team up with three of his students to sing about Tibetan unity. The song is directed to an absent Mother. Missing a parent is a familiar trope in Tibetan popular songs and writings and is often interpreted as a veiled reference to the Dalai Lama. The Dalai Lama, who turns 76 today, is seen as a parent figure by Tibetans. Common allusions to nature such as the sun, clouds and stars can also be interpreted in this way. For a more recent song that can be interpreted in this way, follow this link to an English subtitled video of a rap by Dekyi Tsering titled “Father”. “Longing” By Yadong from HPeaks on Vimeo. The second translation by High Peaks Pure Earth is the poem “Father” by female Tibetan blogger Siqing Dolma, posted on her blog on March 3, 2011. The personal narrative conveys the pain of absence using the metaphors of journeys, both physical and psychological. Leaving behind your picturesque family, and children as precious as jade.